With the changing of the season comes a whole new variety of delicious fruits and vegetables that are beginning to ripen, and one of my very favorite fall fruits to munch on and cook with is definitely cranberries. I always watch my local grocery store sales like a hawk around this time of year, because once they stock the shelves with those beautiful red berries, I swoop in and buy a heap of them to freeze and cook with all year long! It seems like so many people tend to limit the use of cranberries during the holidays to only making traditional cranberry sauce to serve with the turkey during Thanksgiving and Christmas dinner, but it’s such a versatile fruit that is beyond delicious (and nutritious) on so many levels, I believe it deserves a spotlight ALL the time, including during dessert! 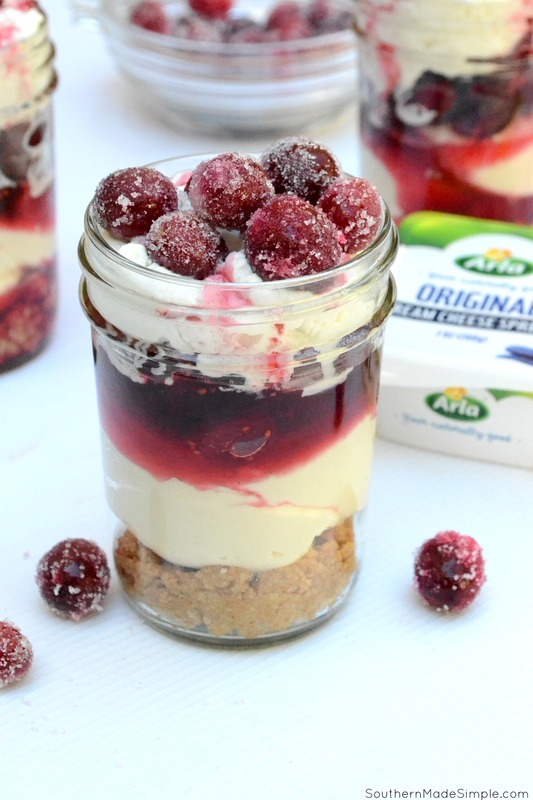 One of my favorite cranberry dishes to make during the holidays are these simple No Bake Cranberry Cheesecake Trifles. They’re three layers of beautifully contrasting flavors, including a buttery graham cracker crust bottom, a creamy sweet cheesecake layer in the center, and a tart and tangy cranberry syrup drizzled on top. 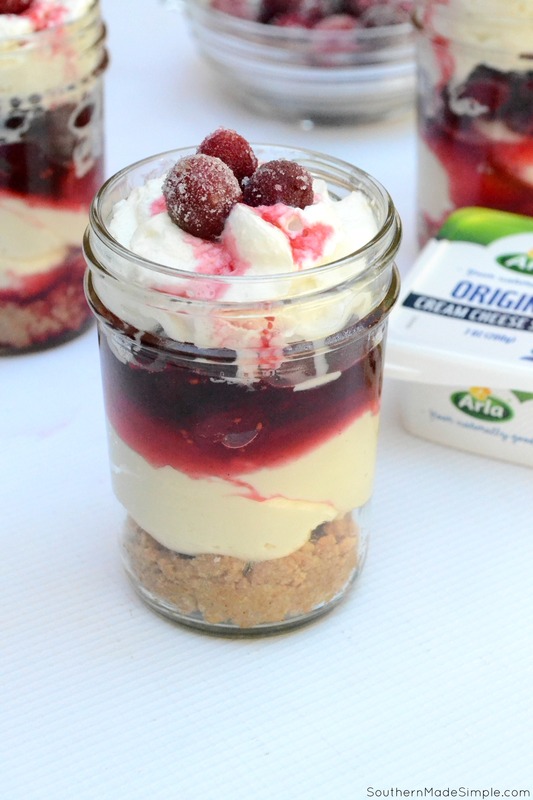 It’s a dessert that’s simply divine, and they’re served in mini jars to make serving a breeze! 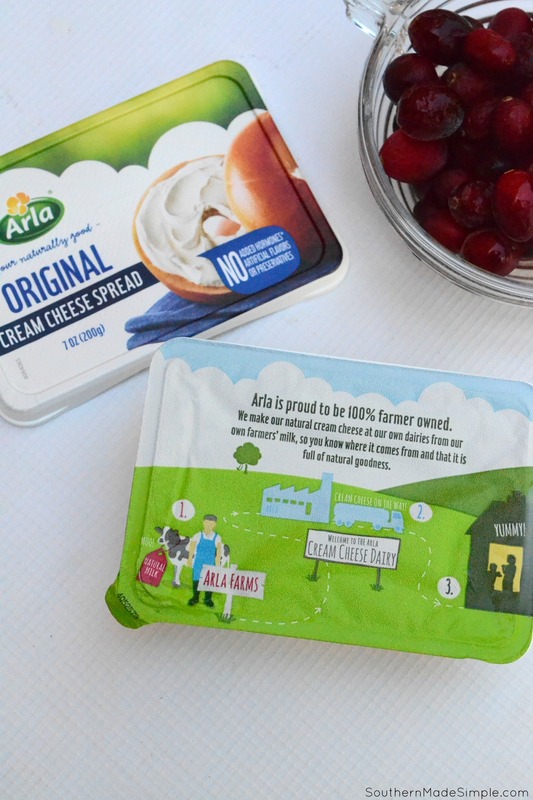 When I’ve got cheesecake on the brain, I always spring for Arla Cream Cheese found in the dairy section at Publix. Using a cream cheese spread instead of a block in holiday baking may seem a little different, but that’s exactly what sets these cheesecake trifles apart from the rest! 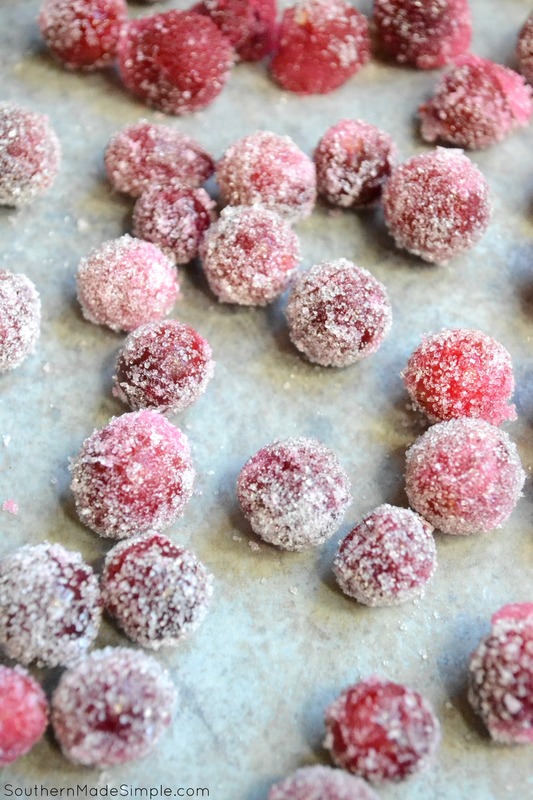 And speaking of simple, if you’ve never tried sugared cranberries before, what are you waiting for?! My toddler and I made a batch of these to go on top of our trifles, but we wound up eating about half of them before they could make it onto the cheesecake! We were popping them like candy and having ourselves a good ol’ time in the kitchen! To make sugared cranberries, simple add 3/4 cup sugar to 1/2 cup water over medium heat and let the sugar dissolve completely. 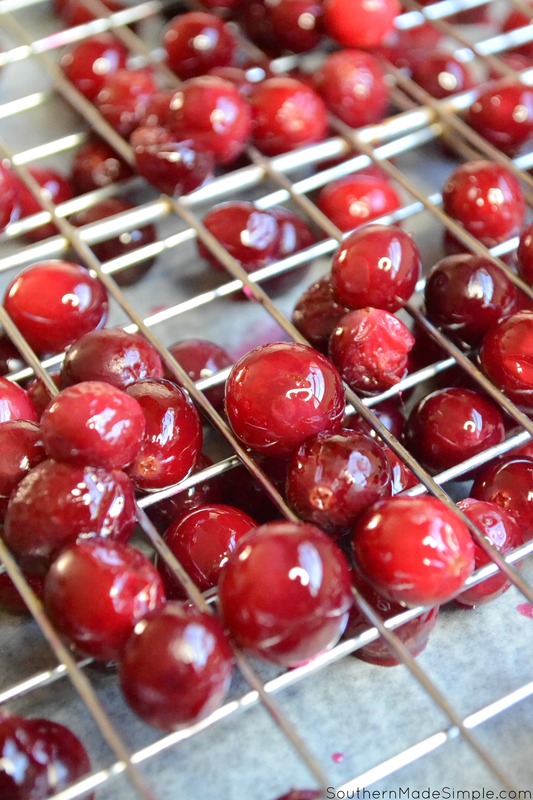 Pour in cranberries, give them a good stir and transfer them to a wire rack to dry. Once they’ve dried, roll them around in a little sugar and voila! Here’s a free printable version of the full recipe if you’d like to give it a try! In a large mixing bowl, gently crush graham crackers and add pumpkin pie spice. Pour melted butter over crackers and gently beat using a hand mixer on low until the mixture is crumbly. Using a hand mixer, beat together all ingredients in a large bowl until well combined. Transfer mixture into a piping bag and pipe a thick layer over graham cracker crumbs. Refrigerate. Combine water and sugar over high heat and stir until sugar is completely dissolved. 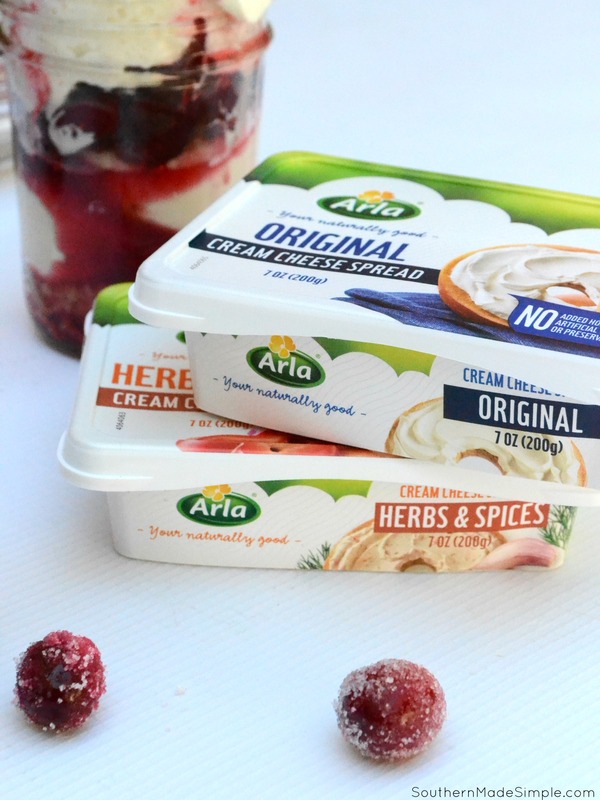 Do you have a favorite holiday recipe in mind that you would use Arla Cream Cheese in? Are you a fan of cranberries like me? 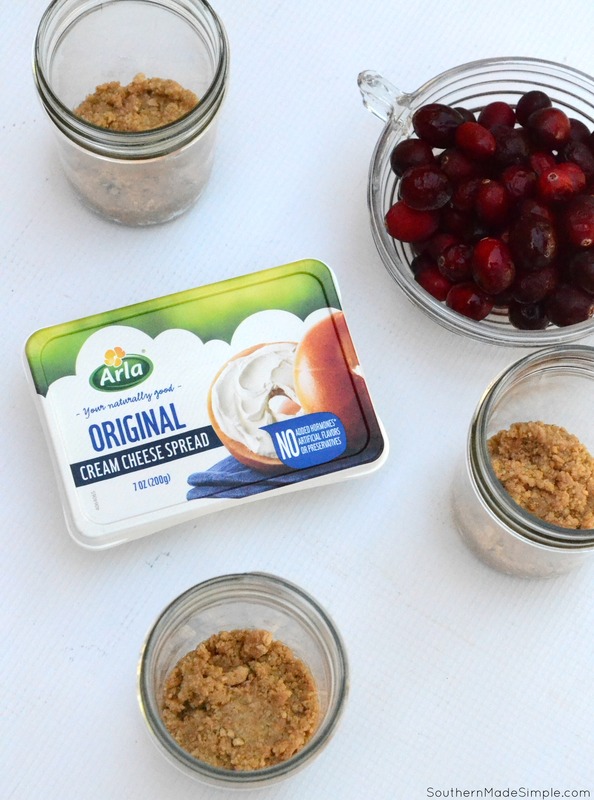 Next time you swing by your local Publix, grab the coupon, print off this recipe and pick up all of the ingredients to make these simple No Bake Cranberry Cheesecake Trifles. They’re a fun and delicious way to serve up a few smiles to your friends and family this season! These look yum! I’m also going to try this cream cheese. Love that it’s farmer owned!